The UK's leading Scrap Car Collection Network, operating with the customer at the heart, and the heart helping those who need it most. Scrap Car Network is an easy way for drivers to get a great price for scrapping their car and support charities at the same time. If you’ve got an old or unwanted vehicle, you may be wondering how to dispose of it effectively whilst still getting a good price for it. Scrap Car Network operates nationwide and offers car owners great prices for their old and scrap cars. We ensure that all the cars we collect are disposed of ethically and in an environmentally friendly way. If we can resell your car or its parts, we will, but if the car’s not in a saleable condition, we’ll make sure it’s fully recycled and won’t cause any damage to the environment. Scrap Car Network is the clear choice when it comes to disposing of unwanted cars! In addition to getting a competitive price for your old car, there’s another advantage to using Scrap Car Network. 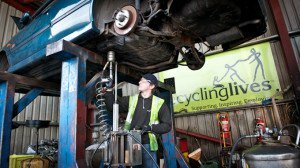 Scrap Car Network helps to sustain the Recycling Lives social welfare charity. 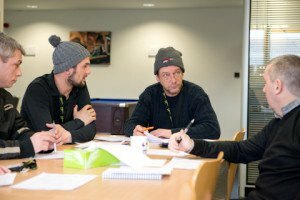 The social welfare charity is helping to end homelessness by providing homeless men aged 25 and over with safe accommodation, work placements and training opportunities. Aswell as supporting the social welfare charity financially, Scrap Car Network helps Residents directly by providing them with work placements and work experience opportunities. This helps Residents increase their skills and enhances their employability. With many Residents keen to return to work, placements at Scrap Car Network, help them to enhance their job prospects and secure long term employment. Scrap Car Network makes it easy to support charity whilst still getting a great price for your unwanted car and it’s simple to do! Rather than struggling to get rid of your unwanted car, why not let Scrap Car Network collect it, and receive a competitive price for your car at the same time?